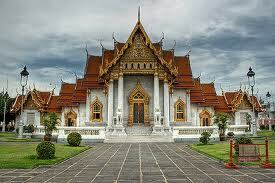 Trip Description : ALANGKARN is located 155 kilometers on Sukhumvit Road Jomtien, Pattaya with an area of 80 rais. The entire project includes prototype Hexa Stage Theatre, Cultural Rostrum and a Restaurant. ALANGKARN is aiming towards a new concept of presenting the Thai Culture to our clienteles, instead of the standard Thai traditional dancing that could easily be founded elsewhere. The unique features are the combination of multidimensional technique presentation through the use of multi-colored laser show, real surrounds sound system and more. All Thai performances are professionally choreographed by the team of “Supaksorn” or Mr. Supawat Jongsiri, director of Performances at Alangkarn. 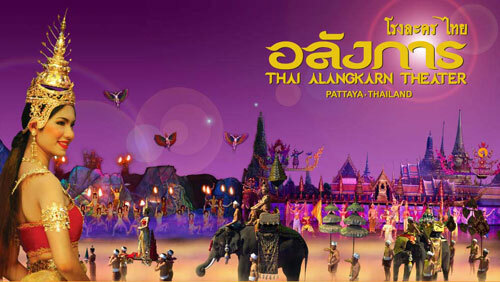 There by making it a modern Thai Multi-Dimension Extravaganza Show called “ALANGKARN”. Tour Period: Dinner Time: 17.30 - 20.30 hrs.